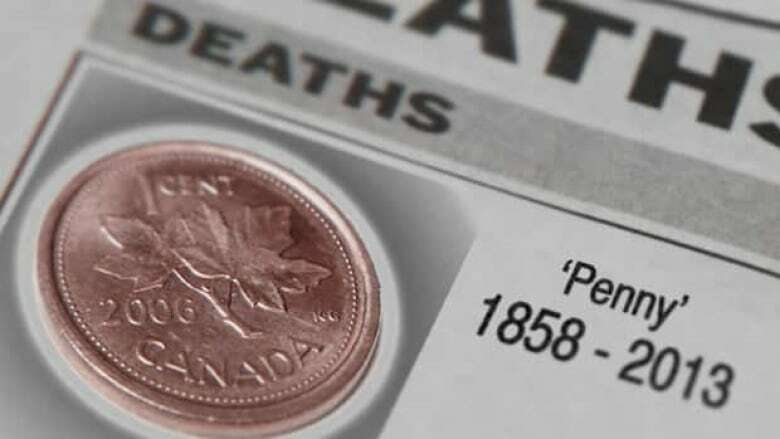 The ubiquitous Canadian penny passed away peacefully on Feb. 4, 2013, snuffed out when the Royal Canadian Mint stopped distributing the copper-coloured coin that day. Penny, Canadian — Passed away peacefully on Feb. 4, 2013, when the Royal Canadian Mint stopped distributing the copper-coloured coin. The penny's demise had been anticipated since March 29, 2012, when federal Finance Minister James Flaherty announced in the budget that his government had decided to phase out the smallest denomination of Canada's currency. The Canadian penny traces its origins to 1858, when the then-province of Canada adopted the decimal system for its currency. Initially, it was struck at the Royal Mint in Great Britain. That penny had Queen Victoria on the obverse (or "heads") side and a vine of maple leaves on the reverse (or "tails") side. Dominion of Canada coins were first issued in 1870, but the penny, then made from bronze, didn't join the family until 1876. 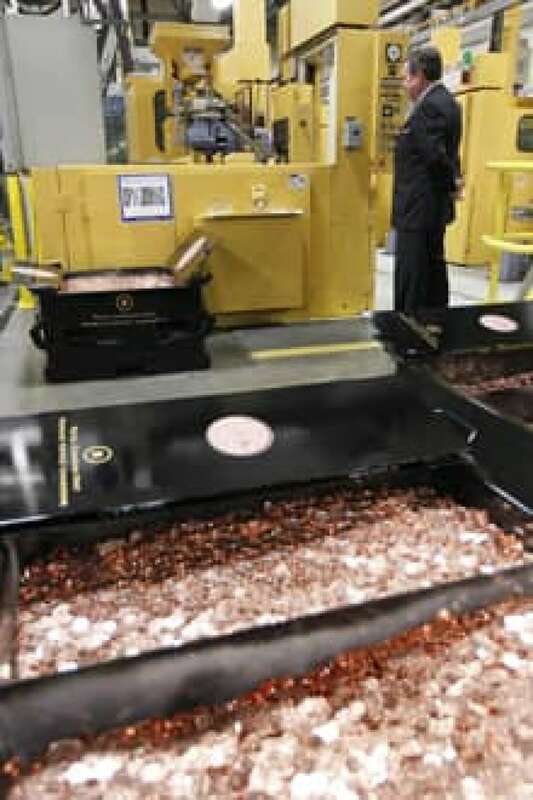 Penny production moved to Canada in 1908, when the Ottawa branch of the Royal Mint opened. Countess Grey, the wife of Canada's governor general at the time, struck the first penny at the mint's official opening on Jan. 2. 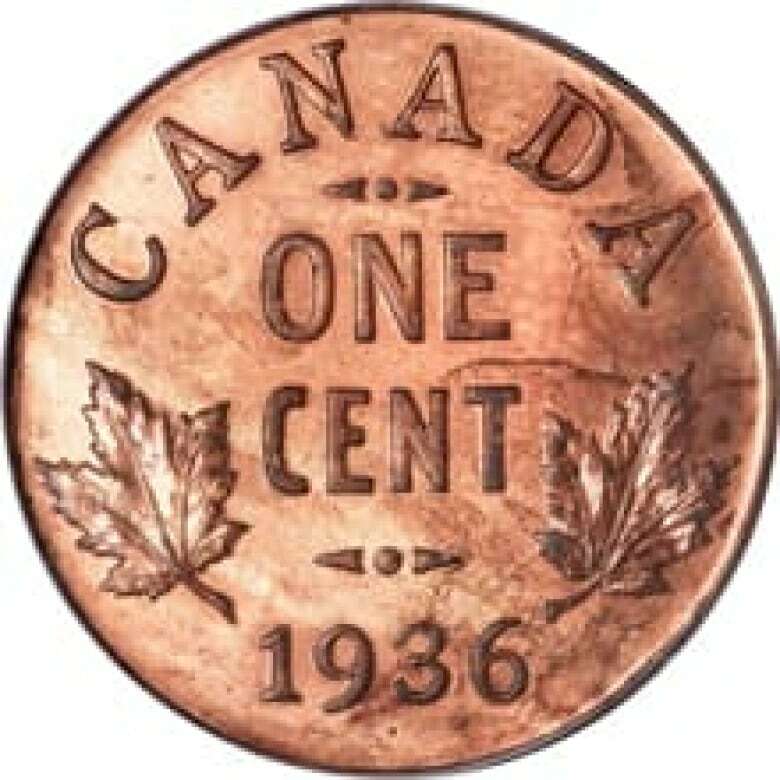 Until 1997, the penny's composition was at least 95.5 per cent copper. For Canada's centennial year, 1967, the penny's reverse design featured a rock dove. Since 1858, there have been five different designs used on the reverse side, including a period between 1911 and 1920 when the original vine design was augmented with the word "Canada." The obverse side has always featured a likeness of the reigning monarch. According to Canada’s Currency Act, you can only spend 25 pennies at once. You can always roll up more and bring them to the bank. If you can’t stand that, use your credit or debit card. You will be charged to the exact cent. In 1997, the penny's composition changed to 98.4 per cent zinc, with the rest copper plating. Since 2000, its composition has been 94 per cent steel. The cause of death for the penny was likely the drop in its purchasing power, as inflation took its toll. An 1870 penny would be worth about 31 cents today, adjusted for inflation. In its last year, one penny was costing the government 1.6 cents to produce. With the penny's passing, the government expects to save $11 million a year. The penny will be missed by the other members of the Canadian coinage system, which are now expected to be more in demand. It will also be mourned by the 28 per cent of Canadian adults who told the Angus Reid polling firm in January 2013 that they disagree with the government's decision to take the penny out of circulation. In lieu of flowers, donations of pennies may be made to Canadian charities. Messages of condolence are being accepted online in the comments section below. Quiz: How well do you know the penny? Will nickel follow penny out of Canadian coin circulation?